I could be wrong, but I don’t think Walmart will accept your prison commissary balance to pay for things. I believe I see ‘Douglas County Corrections’ across his back. Unless there is another, it appears he’s on the lam from Omaha, NE.jail system!!! 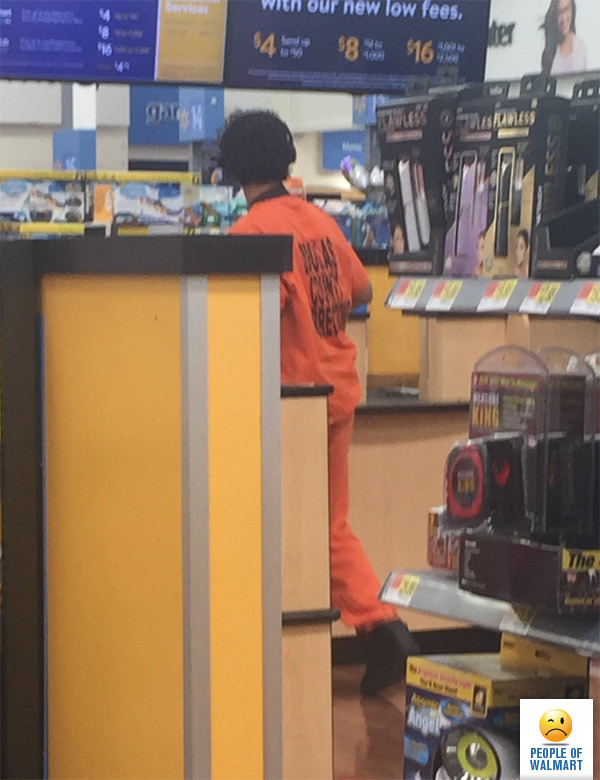 How the hell did he manage to get out wearing a prison jumpsuit??! If I saw that, I’d be on the phone to 911 INSTANTLY!!!!!! No disrespect intended towards the late Queen of Soul.